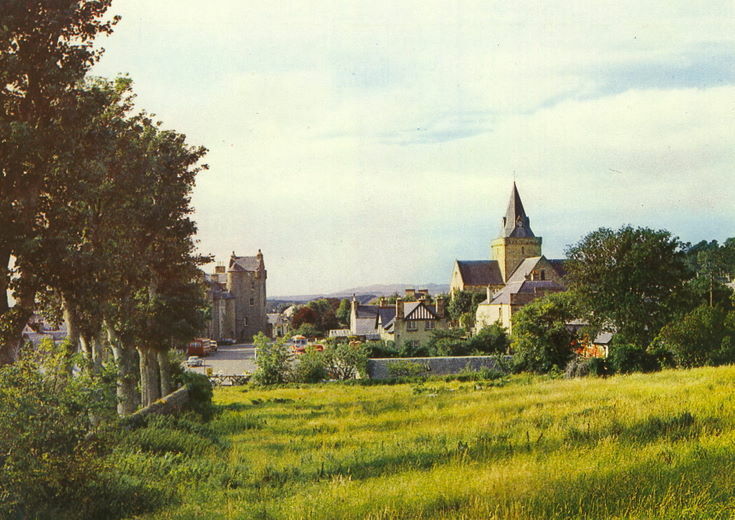 Colour postcard of Dornoch from School Hill / Argyll Street looking west. From an album of postcards and photographs taken by Mrs J.I.C. Mackay of Dornoch and surrounding area.